Good afternoon! 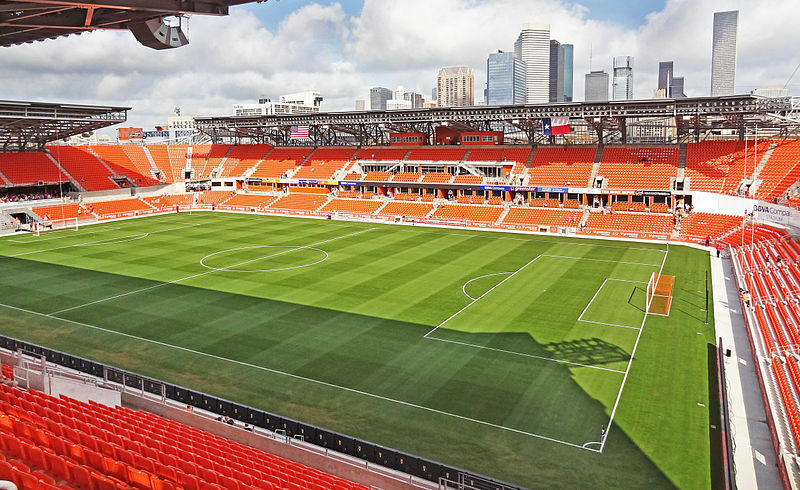 The Red Bulls visit BBVA Compass Stadium, for the very first time, to take on a very hot Houston Dynamo (8:00pm ET, NBC Sports Network, match notes here). Let's see how both teams come into this one. The Dynamo will be a tough nut to crack, with the Orange Men have allowed only one goal in their last 6 games. Personally, I don't know how this could be anything but a loss. The Red Bulls have been awful away from home, Tim Cahill will need time to get to know his new team mates on the pitch, Dax McCarty is out, Holgersson, Solli and Miller are in. I'm calling it 2-0 to Houston (and I hope I'm wrong). Every bone in my body says that, despite the addition of Cahill, the Red Bulls' lack of form and Houston's surge means we should prepare for another classic Red Bulls performance: disappointing, low-energy, no cohesion and almost no offense. That's why I'm calling a 2-0 Red Bull victory. This team makes no sense, so why should my prediction? VIVA LOS TOROS ROJOS!!!! It must have annoyed the crap out of Henry to watch helplessly as Tottnumb won again at the Cathedral, but it shows his focus is exclusively on the title race. Can Cahill play the playmaking role we so desperately need? We should find out on a hot Friday night in Houston. I say the new blood gives our Red Bulls wings to soar towards the Shield. Meanwhile, Ballouchy will yet again join a team that should contend but disappoints as he watches his former teammates lift MLS Cup come November. It's destiny calling. And the race to glory begins with a 0-3 win over the Dynamo. That's all for now. Let's go Red Bulls!